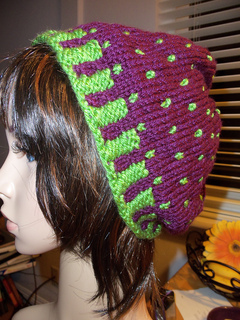 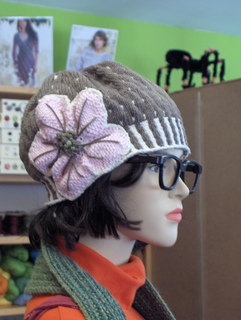 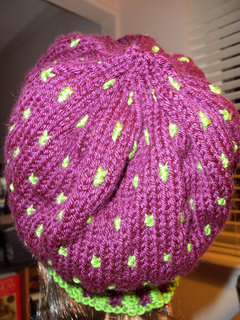 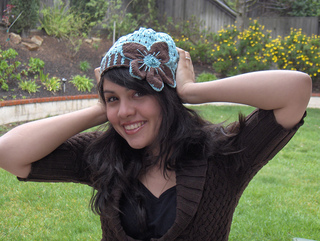 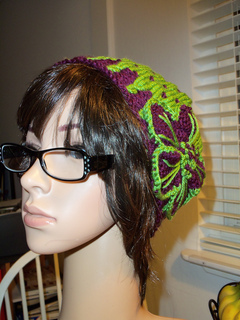 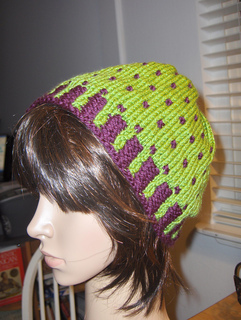 This beanie will make you look like an accomplished knitter! 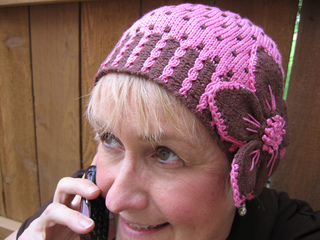 It is knit in the round from the bottom up, with stunning ‘faux cable’ brim, that does not require cabling experience or a cable needle! 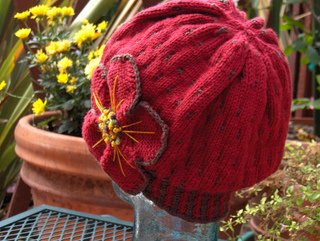 The body is a simple stockinette stitch with an occasional ‘purl-dot’ patterning in contrasting color. 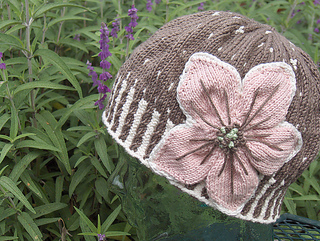 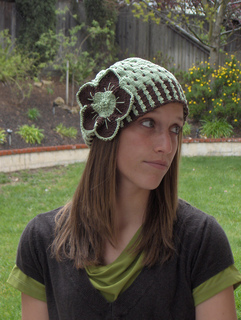 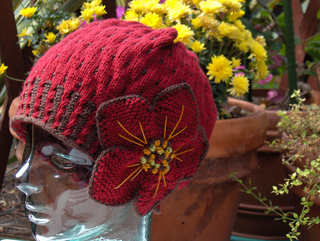 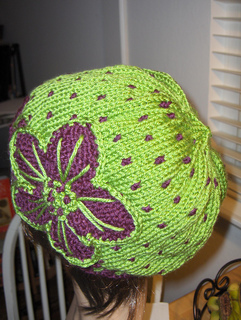 The flower can be done either in stockinette or garter stitch for different effects, and worn on the hat or as a separate accessory on clothing or handbag! 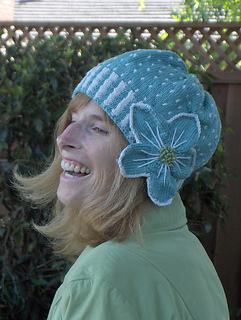 Check out my Rav store Bellsisters Design Shopand my sister’sBellsisterdebbie’s Design Shop to see what else we’re up to!